You may download a PDF version of the newspaper by clicking the link below. CEC journalism students have worked diligently to bring you the first issue of Coyote Droppings, the school newspaper for Chandler Early College. Click the link below to download a PDF copy, or visit our Facebook site to see images of each page. The main office of Chandler Early College is open from 7 a.m. to 3:30 p.m. Monday -- Friday. Please call 480-224-3060 for more information. Directions to CEC can be found under the Quick Links tab above. The Chandler Early College graduation ceremony will take place on the CGCC campus in the Student Pavilion on May 23rd beginning at 6:00 pm with students arriving no later than 5:30 pm for preparation. Families, as we work to make our ceremony a special event, please help us by submitting a baby picture and a current or graduation/senior photo of your student. We are also asking for a short quote or message that can be shared that evening as well. To allow for planning of our traditional graduation ceremony please let us know if you would like to borrow a cap and gown from CEC. We will also be having a luncheon for the graduates that morning from 11:00-12:30 pm. We encourage attendance as we will use this time as an informal rehearsal and provide students and staff to reconnect one final time. Please RSVP attendance to allow for proper planning. For any and all information regarding the graduation, please contact Teri King (king.teri@cusd80.com) or call 480-224-3060. We appreciate any and all responses for the graduation by May 8, 2019. We look forward to seeing everyone there! ALL ABSENCES MUST BE REPORTED WITHIN 24 HOURS. Please leave your name, a contact number, your student's name, and the date of the absence. Hello, Parents of the Class of 2019! The Chandler Early College graduation is happening May 23rd, 2019, a different night than the other high school graduations, so that your student can participate in both. 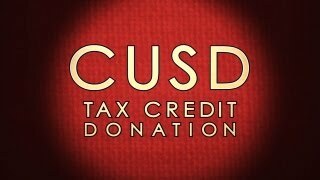 Please check below for graduate information at the various CUSD Home High Schools. Classes start at 7:30 a.m. and end at 2:15 p.m.
Students must take a minimum of 3 classes but can take up to a maximum of 5 classes each Quarter within the school year. Depending on their need, a schedule can be flexible. Students and families will work with the Administrator and Counselor to determine the best schedule that fits a students needs. Contact Mrs. Collea-Anderson and/or Mr. Mitchell for more information. Basha HS, Perry HS, Chandler HS, Hamilton HS and Casteel HS use Parchment. You may also call to make a request to see our Counselor, Mrs. Collea-Anderson for assistance at 480-224-3065. Students and/or families wanting to attend or learn more about Chandler Early College and have not yet gone though the interview and referral process -- may call the CEC office at 480-224-3060 to schedule a meeting. This meeting provides an overview of the program, a review of the students current school history, and a chance to discuss desires or possible options for graduation, College coursework, EVIT opportunities (if applicable), and anything else that may be discussed as options. You may borrow a cap and gown from us. Please contact Josten's to purchase a tassle. and grown-up picture of you by Wednesday, May 8th. with us by Wednesday May 8th, 2019. You may borrow a cap and gown from CEC for the CEC ceremony. See the school's website for that information. both schools by Wednesday, May 8th. See the school's website for information. your home school by Wednesdday, May 8th.